I've seen quite a few posts on all the gorgeous fall lip colours that are around at the moment, MAC Rebel being a prominent one! 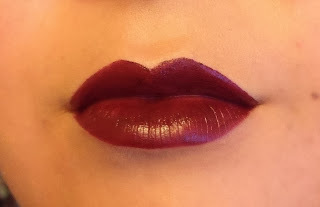 Just a quick post to introduce to you guys some of my fave fall lips. 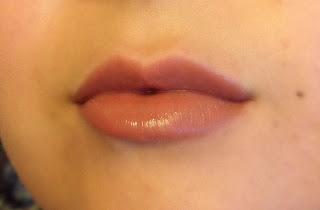 I thought I would show you a few lip colours from my collection that are great for autumn/winter and are super affordable! 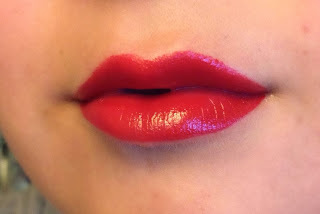 Rimmel's Alarm is a gorgeous red, which is a little predictable but who could resist wearing red in the fall! MUA's LMK comes with a glittery pink lipgloss on the opposite end but the lipstick itself is the most gorgeous, dark, vampy purple. 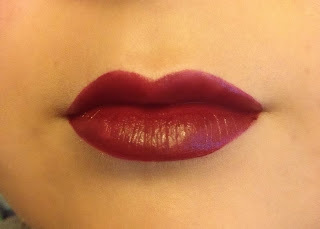 The colour comes out a very dark oxblood and works perfectly with MAC's Currant lipliner (which I seem to have misplaced! I was looking for it for this post :/) I tried to apply this lightly so you could see the colour! What are your favourite lip colours this autumn?? ?